Graffiti is one of those things that will never go away and is unbelievably annoying and costly. We can all relate to fixing your hair in the mirror at the movies, window shopping in the city or �excitedly looking for varying wildlife at the Zoo, and blocking your view, is some dummy’s attempt to “mark his territory” with a scribbled name that no one can even read. 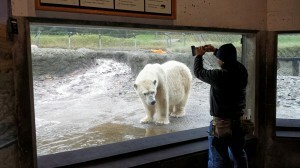 Now the facility is faced with repairing or replacing damaged glass; That’s where we come in. As you know Exhibit glass at the zoo is large and super thick (for protection against an excited ape or playful tiger, obviously) and large glass means large price tag. 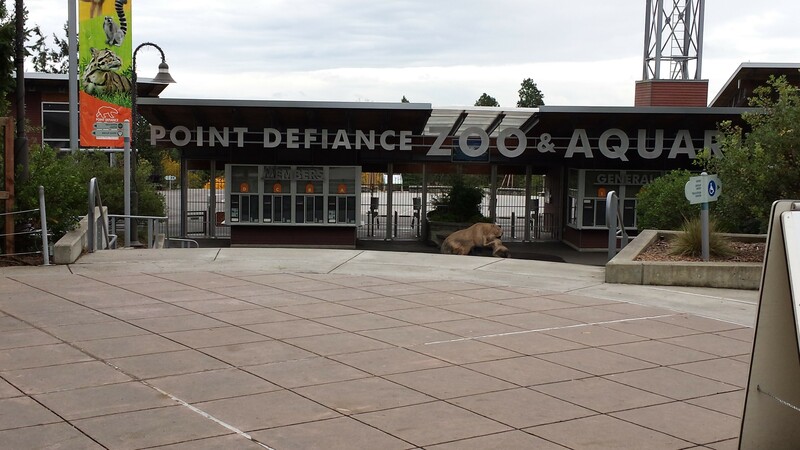 Point defiance Zoo in Tacoma called us up after being tagged up and varying locations throughout their facility. We were able to buff out scratches/tagging on the glass and then coat it with our 3M anti graffiti film – If you are not familiar with this material, here is the lowdown. Anti Graffiti Film is a clear sacrificial film that we can install on to the glass surface, You cant see it and “Sir-tag’s-a-lot” cant see it – He tags it,�feeling pretty good about himself that he has just stamped his cryptic hieroglyphic on the glass; We come and remove the film and install new film, all at a fraction of the cost of replacing the glass.